Not long after moving into our house a few years ago, my mom gave me a Scentsy warmer and some bricks. And I was hooked immediately! It sits in my kitchen in the little cove behind my sink…in the perfect place to send those lovely smells throughout the house. I came to quickly appreciate it! You see, I had never lived in a place where winter lasted longer than 2 weeks! It never fell below 50 degress in the Dominican Republic, and winter in San Antonio, TX, starts on January 5th and ends on January 20th…or so! I never knew how awful the indoor air could be over the winter. It didn’t take me long to figure out that the “stale inside heated air” was here to until at least March…and boy was I glad to have my Scentsy Warmer to make the house smell great…and less stale-ish. I have a warmer (like the one pictured above) and I treat myself to a new scent once in the fall and once in the spring, or as the budget allows. I also like that they have plugin scent holders now! But here’s the real kicker…forget the stale winter air, and forget that I can support my friends and their businesses…the real reason I love my warmer and the scentsy bricks…they don’t make me sneeze!!! My friend Beth is offering 10% off a majority of Scentsy products and the sale will end on Tuesday, August 31st at 11:59 p.m. Also, several warmers and scents will be retiring at the end of the month, so be sure to find out if you favorites are being retired! You can click here, or through the ad in the sidebar for more information about Scentsy and the sale. 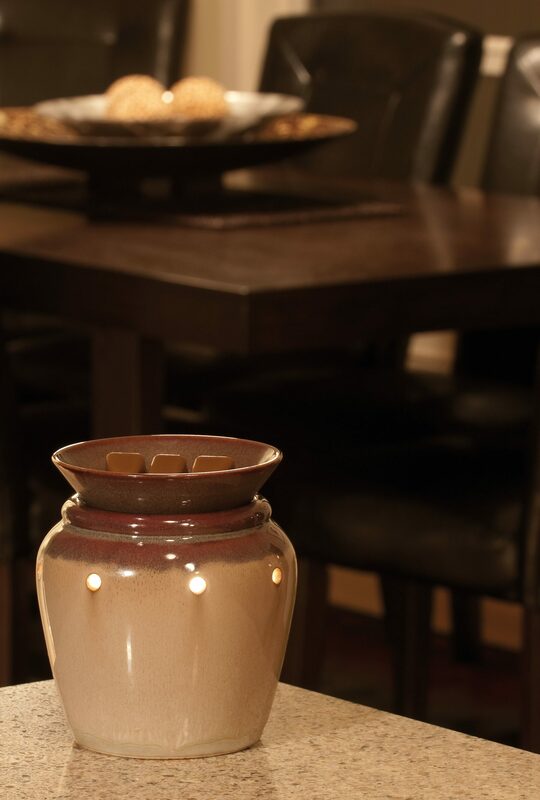 With fall and winter just around the corner, now is a great time to get your Scentsy on! Scentsy is awesome! It is pretty addicting! I just started selling, so that is exciting! !